Florida is home to some beautiful beaches and balmy temperatures. If you’re looking to catch some rays and pursue graphic design in the process, Florida is definitely an option worth considering. We’ve assembled a list of ten of the top schools in the peninsula state of Florida. This should be enough to get you started on your Floridian best colleges for graphic design search. Our ranking methodology is a diverse one. We picked a smattering of the top schools from several categories. The University of Florida is a school that focuses heavily on collaboration within its Graphic Design program. It is a university that examines how designers actually influence culture and impact the world. The Graphic Design program at the University of Florida is for you if you want to strongly develop your own graphic design voice while finding a stronger sense of purpose through collaboration. At Florida State University, BFA students are strongly encouraged to complete two focus areas within the studio art offerings. This means you have a unique opportunity to strongly develop a graphic design niche. FSU offers a rich smattering of studio art courses. Dual focus areas mean you can develop a strong, stand-out portfolio compared to programs offering the same classes to every student. Here is a list of Florida State University’s templates for the areas of focus in the Studio Art program. Unsurprisingly, the Ringling College of Art and Design encourages you to see where in the world graphic designers actually are: everywhere. “Behind your favorite band, sports team, beverage, and app, there’s a graphic designer at work.” It says, as the opening line on its Graphic Design page. At the Ringling College of Art and Design, you’ll learn to focus on delighting and engaging the end user. The college also fosters collaboration skills between other creatives–copywriters, printers, photographers, the other professionals you’ll need to bring your vision to life. Ringling College won’t try to pigeonhole you down a certain career path. No matter how you want to put your graphic design degree to use, they’ll encourage you. If you’re looking to develop stronger self-discipline and to cultivate your own individuality, the University of Miami might have the Graphic Design program for you. The University of Miami boasts a Graphic Design program that will develop both your individual and collaborative skills. The inclusion of multidisciplinary projects in the coursework means you won’t learn graphic design as an isolated discipline. You’ll learn graphic design as a discipline that is at its best when combined with other fields. You can expect critiques on a regular basis, often times with guest artists in attendance. Your graphic design foundation is further enhanced through museum and gallery trips, as well as business field trips. At Barry University, you can expect exposure to all facets of both the graphic design process and industry as a whole. Barry University will guide you through challenging graphic design problems, helping you curate a portfolio of impressive design solutions. If you like the opportunity for one-on-one attention with your work, you’ll be happy to hear that Barry University has small class sizes. Personal attention from the dedicated faculty means high accountability and strong guidance, resulting in a portfolio that puts your best foot forward. Barry University has two Mac labs available to you and others in the Fine Arts majors. Both Mac labs contain current, high-powered hardware. 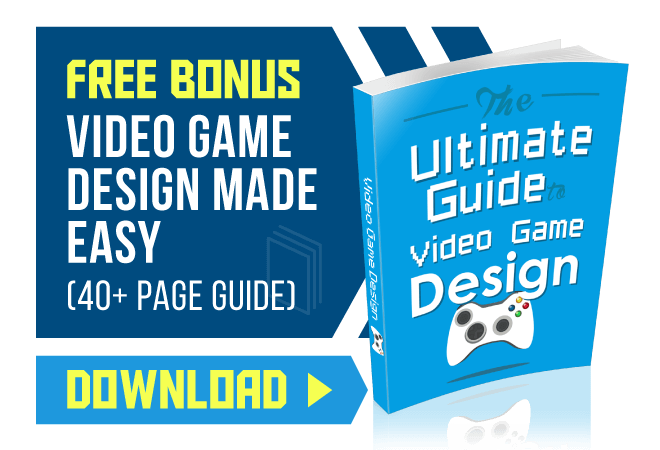 They also contain the latest design software for the industry. Your senior project involves creating a final project for a collaborative exhibit with other students. Barry University gives its seniors the opportunity to display this exhibit at the Andy Gato Gallery. Florida International University offers training in the intellectual, technical, and practical aspects of design. Where their program differs lies in the emphasis. They focus on the role of visual communication in opening possibilities for collaboration with non-designers. If you like the idea of interaction with software developers, programmers, and other professionals across a diverse selection of fields, Florida International University is worth looking into. This collaborative focus helps remove some barriers as far as what is and is not possible within the role of a graphic designer. Florida International University is also a good place to build a strong foundational mastery of design. Their curricular focus on mobility, interactivity, and strategic branding will be beneficial for blazing trails in new forms of communication media. 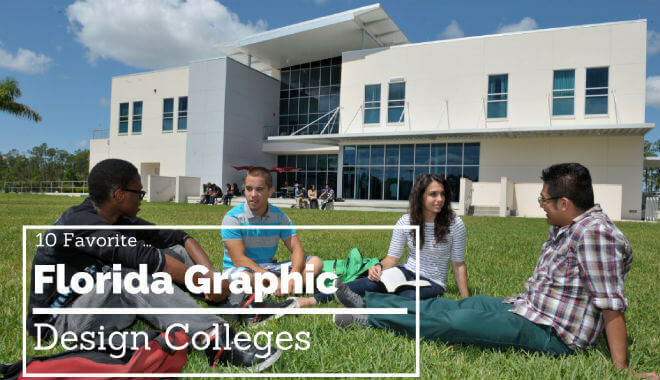 Broward College offers a two-year graphic design program offering real-world training in practical graphic design techniques. They were the first institution to offer a class in iPad interactive design. They take keeping up with current technology very seriously. If you recognize how rapidly things change, Broward College might be the graphic design school for you. The focus in the graphic design program lies in the efficient use of software to modify and design images. In addition to the cutting-edge technology focus, Broward College also provides training in print, web, and electronic media. They also promise students the opportunity to solve real-world advertising problems in the program, as well as the opportunity to satisfy the needs of clients. This boutique arts school is located in Boca Raton, Florida. The Digital Media Arts College provides access to their state-of-the-art labs 24 hours a day, seven days per week. The Digital Media Arts College is the school for you if you want to cultivate both your creative talents and technical prowess. The Graphic Design programs will afford you the opportunity to grow both your client presentation skills and idea marketing skills. Communication plays a pivotal role in all fields, and extra time spent honing your own communication abilities will help you in the long run. 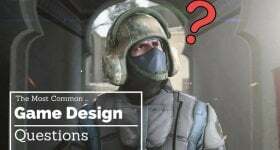 The Digital Media Arts College features some standard design concepts, but includes other concepts such as: motion graphic, art direction, creative direction, and more. University of Central Florida is a university that requires you to take fundamental drawing, graphics, and design courses prior to entering the Graphic Design program. You can either take these courses through the school of visual arts and design at the University of Central Florida itself, or you can transfer your credits from an accredited academic institution. The portfolio you present at the University of Central Florida needs to be very professional. The “application requirements” page strongly stresses the importance of presentation when it comes to your portfolio. The committee that judges prospective entrant portfolios consists of working professionals, which explains the weight they place on presentation. Your portfolio will need between 10 and 15 samples of your work. According to the University of Tampa Graphic Design program information page, the program’s cornerstones are the “development of visualization skills, creativity, drawing potential and design ability.” If you’re driven, you’ll want to take advantage of the professional internship opportunities offered through the university. From a program standpoint, you can study topics like visual communication, pre- and post-production (as it relates to color, paper, and printing), sustainable design, and website and mobile application design. The program also offers the opportunity to develop your creativity across several mediums, using the latest software.